Florida has the third highest Hispanic population in the country, which gives the Sunshine State culture, character, and, you guessed it, mouth-watering cuisine. Mexican restaurants are on almost every corner in Florida, so it can be difficult to determine which are authentic and worth your dollar. Below, we’ve carved out 10 of the very best the state has to offer! Everything about Agave Azul is fiesta-inspired, including the website, which plays party music as soon as the homepage loads. Since 2008, Agave Azul has brought real Mexican flare to the Port Orange and Ormond Beach areas of Florida, with consistent service and quality meals. The menu is extensive, with 16 lunchtime options, over 30 entrees, incredible guacamole, and much more. Agave Azul offers catering, private events, and a fantastic bar. Frontera Cocina is the latest Mexican restaurant at Disney Springs, opened by eight-time James Beard Foundation Award winner, Chef Rick Bayless. Normally we might not include a resort restaurant, but when an eight-time James Beard winner plants their flag, culinary fans take notice. (James Beard Awards, for those that don’t know, are essentially the Oscars of the culinary world). The main menu has a huge assortment of drinks, including eight wonderful margaritas, and fun twists on traditional Mexican fare, like the Shrimp Mojo de Ajo (pan-roasted Mazatian blue shrimp with mojo de ajo plantain rice, grilled calabacitas, warm corn tortillas), and much, much more. JJ’s Fusion Grille is slightly more casual than the previous entry on this list. A college-student favorite, JJ’s competes with the likes of Chipotle, Moe’s, and Qdoba by offering make-your-own, fast-casual Mexican dishes. Customers pick their base, add rice, beans, meat and veggies, before loading up with toppings and chips. If you’re in the mood for a quick meal without the processed-feel of normal fast food joints, give JJ’s a try. The Señor “offers the most authentic Mexican food that will make your taste buds get up and dance,” according to their website. Señor Tequila in Winter Springs, Florida offers tacos, burritos, fajitas, chimichangas, enchiladas, and more. Stop by for lunch or happy hour between 2 p.m. and 6 p.m. Monday through Friday for fantastic specials. Lozano’s Mexican Restaurant in Immokalee, Florida serves home-style, made-from-scratch meals every day. Monday through Thursday, stop in for one of their daily specials, including Margarita Mondays, $2 tacos, Kids Eat Free Wednesdays, and 65-cent chicken wing Thursdays. The atmosphere is fun and casual, and the food quite good. The menu has a wide variety, including tacos, burritos, fajitas, quesadillas, chicken tenders, chicken wings, and much more. Coyo Taco in Miami, Florida, is “Miami’s freshest Mexican street food experience,” according to their website. Guacamole is smashed to order and tortillas hard handmade, while vegetables are locally sourced. All ingredients are 100 percent natural. Stop by one of their two street vendors or their store front. Order from a plethora of tacos, convert to a burrito or burrito bowl, or order up a quesadilla and sides. Las Fajitas in Boca Raton, Florida, is a straightforward Mexican restaurant that relies heavily on serving up delicious versions of staple Mexican fare with full bar. Choose from salads, tacos, burritos, enchiladas, entrees, and dessert, including flan. Try the filet chipotle (grilled steak topped with potatoes in chipotle sauce and melted cheese) if you’re in that neck of the woods. Garibaldi Mexican Restaurant is another party-perfect location. Ladies, take note of the discounted drinks on lady’s night. For everyone else, the happy hour is Monday-Wednesdays. The menu is extensive, including lunch and kid’s options, appetizers, soups and salads, nachos, house specialties, special dinners, seafood, vegetarian dishes, and desserts. Check them out on Facebook for upcoming events. Chicano’s Authentic Mexican Restaurant is a mom-and-pop owned restaurant run by the Lopez family, who bring their first-hand Mexican experience and heritage to each and every dish. 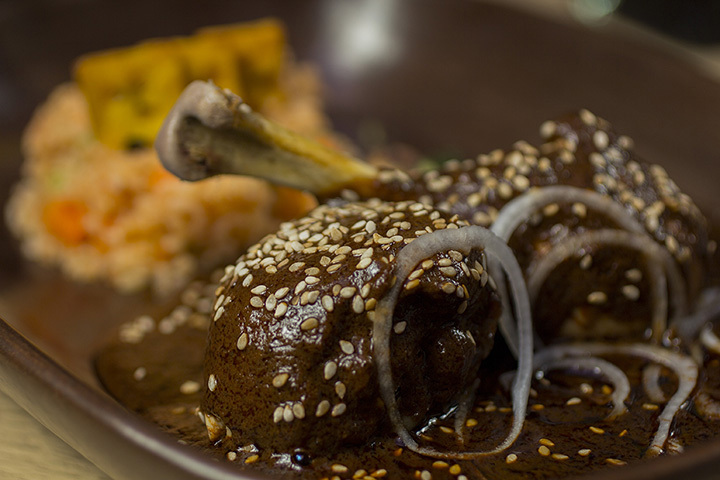 Each dish is prepared to order and offers both traditional Mexican food and modern trends. Choose from seafood entrees, house specials, and “American-Mex” food. Can’t choose? Try a combination. The fajitas, too, are worth the trip alone. Dona Julia’s American and Mexican Food in Lakeland, Florida offers breakfast, appetizers, lunch, and dinner. The breakfast food, in particular, is notable. Try the Idiot Scrambler (three eggs scrambled with hash browns, ham, onions, and cheese served with tortillas or toast), or a Mexican omelet (served with your choice of tortillas with beans and rice or home fries), among other options. The dinner menu is a mixture of American and Mexican foods, with options like meat loaf dinner next to chimichangas. Whether you’re a Mexican lover or dipping your toe into new cuisine, Dona Julia has something for you.